St. Mary Chapel, St. Paul, Minnesota. 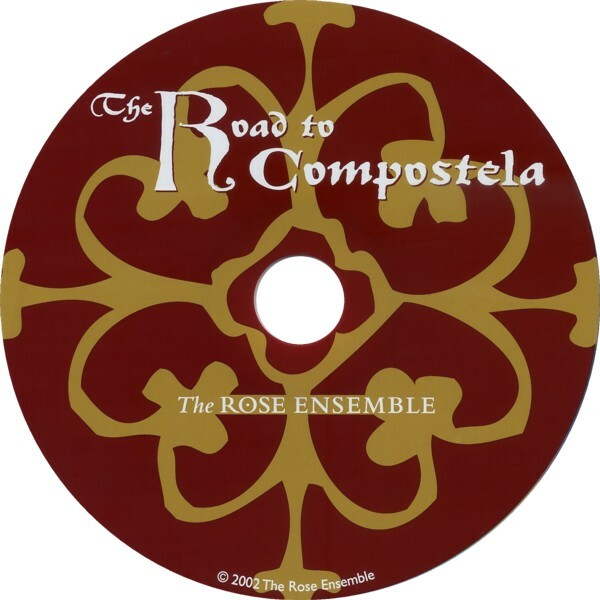 This recording was made possible by the generosity of The Rose Ensemble's contributors and volunteers. Thanks to the staff and clergy of The Basilica of Saint Mary for constant support, and to Father Paul Feela and the Saint Paul Seminary School of Divinity for being so incredibly accommodating. Special thanks to Benjamin Bagby of Sequentia for guidance and inspiration, Warren Sampson and John Scherf for their generosity, our new friends Matt Jenson and New and Slightly Used Dance, and J. David Moore for attending the recording of his piece. Heartfelt thanks to Victor Zupanc for playing percussion and writing such incredible music for us. A special thanks to Janet Abrams, Director of the Design Insitute at the University of Minnesota, for her generous support. Although some might argue that it is the contraction of the Latin phrase campus stellae, literally "the field of the star," the name Compostela is sure to derive from the Latin compostum, meaning "burial place." In old Spanish the name Iago dates to the collapsing of the Latin name Jacobus, who after canonization became "Santiago." In English, this turned Jacobus to "James." Dating from 1139, named in honor of Pope Calixtus II, and kept in the archival library of the Cathedral of Santiago de Compostela, Codex Calixtinus is a manuscript collection of music and writings about St. James the Apostle's life and miracles and the pilgrimage to the site of his relics: the Cathedral of Santiago de Compostela. The majority of this recording's medieval repertoire comes from this manuscript. Book V of the Codex is essentially a 12th-century tour guidebook; some of this "pilgrim's guide" section is attributed to Pope Calixtus II himself, although it is highly unlikely that he himself wrote it. A letter of Innocent II mentions a French cleric named Aimery Picaud of Parthenay-le-Vieux as responsible for having donated the Codex to the Cathedral of Santiago, but it is also likely that Picaud is the author of the guide (what's more, his name also appears after a hymn in the music). Regardless of who actually wrote the pilgrims' guide, one thing is for sure: the author's anti-Spain commentary is at times truly unbelievable. The music contained in Codex Calixtinus ranges from typical Gregorian chants (for the vigil and feast of St. James), to hymns, to two and three-part motets. Although it is not known where and how exactly the single-voiced hymns (such as Jocundetur et letetur and Exultet celi curia) would have actually been performed (i.e. in a church during a service or outside during a procession), we have chosen to sing many of them as "folk hymns," conjuring festive images rather than solemn ones. • Those with a cantus firmus (main melody) and a primarily homophonic discantus (counter melody), for example, Rex immense, Pater pie. • Those with a cantus firmus and an elaborate decorated discantus, for example, Vox nostra resonet. • Those with no discernable cantus firmus and therefore two equal parts, for example: Ad superni regis decus. The parchment manuscript Codex Las Huelgas, which contains the music for Audi Pontus, has been in constant possession of the convent of Las Huelgas de Burgos (located "on the road") since it was copied in ca. 1300. It is a wide-ranging collection containing a full selection of liturgical compositions in 1, 2, 3, and occasionally 4 voices, encompassing styles from that of Notre Dame of Paris in the late 12th century (such as Perotin's Beata Viscera). 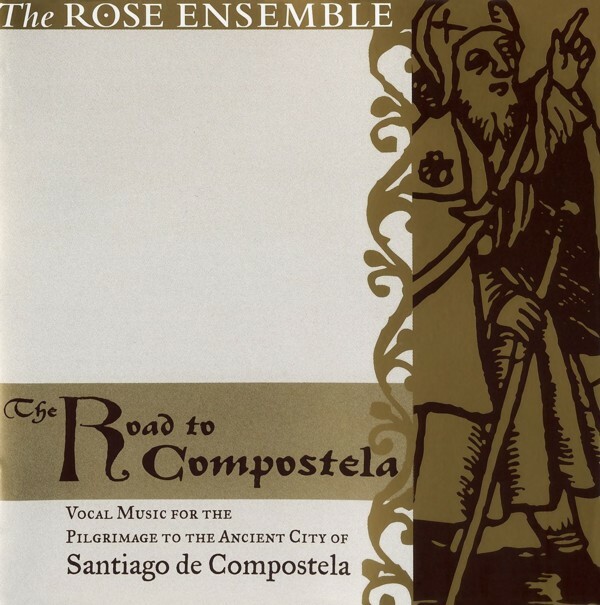 THE ROSE ENSEMBLE is a daring and inventive vocal ensemble dedicated to performing and preserving ancient music and honoring history, world cultures and religions. 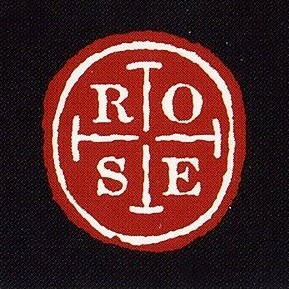 Founded in 1996 by Artistic Director Jordan Sramek and based in Saint Paul, Minnesota, The Rose Ensemble has built a diverse and enthusiastic contemporary audience with imaginative concerts and recordings of early music, called "flawlessly performed and smoothly structured" (Cleveland Plain Dealer) and "emotionally committed and moving" (Minneapolis Star-Tribune). The recipient of the 2005 Chorus America Margaret Hillis Award for Choral Excellence, The Rose Ensemble enjoys an active international touring schedule filled with performances, workshops and educational programs for people of all ages. 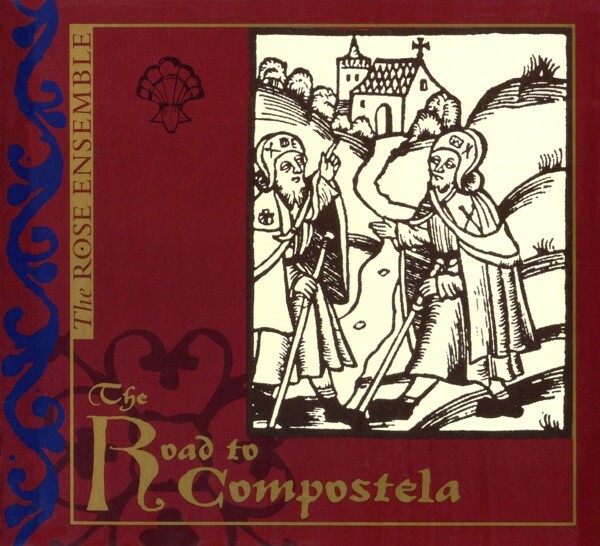 Praised for "an almost supernatural blend of voices" (Early Music America Magazine), The Rose Ensemble has produced several recordings, which receive regular international airplay and have received widespread critical praise. COMPOSER VICTOR ZUPANC (Rose Ensemble Composer-in-Residence, 2001-2002) was born in Canada and began his musical career studying violin and piano at the age of six at the Royal Conservatory of Music in Victoria, BC. After receiving his Bachelor of Music Degree at the University of Victoria he earned his Masters Degree in Music Composition at the University of California at San Diego in 1983. Since then, Mr. Zupanc has been involved in over 170 theatrical productions as composer, musical director, sound designer, and performer. His career has taken him to some of the most respected theaters in America including The La Jolla Playhouse, The San Diego Rep, The Kennedy Center, The Brooklyn Academy of Music, The Joyce Theater and The New Victory Theater in New York, and The Guthrie Theater. Since 1989, Mr. Zupanc has served as Music Director at the Children's Theater Company of Minneapolis. He is currently a McKnight Fellow through the American Composers Forum, and is one of only two composers in the country to receive this prestigious award twice, having also received it in 1995. His residency with The Rose Ensemble was made possible by a major grant from The Jerome Foundation.